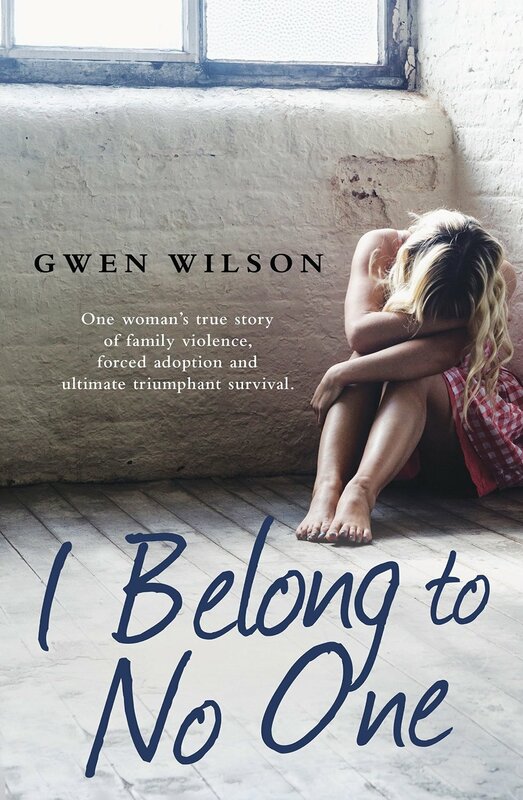 This is a brave book, a memoir written by Gwen Wilson knowing that she may be criticised, knowing that readers may disapprove, but having the courage to write it anyway. To say ‘This is me, this is what I did when I was a teenager’. Gwen Wilson had a tough start in life. Her father was not in her life, in fact in later years she discovers that her father was a completely different man from the one she thought he was. Instead she grows up with her mother and half-brother Steve. Her mother would today be diagnosed as bi-polar, Steve is thrust into the role of authority figure. The young Gwen grows up relying on stand-in families, those of trusting neighbours or the parents of her schoolfriends. Looking for love, for approval, it is little wonder that she gets ’into trouble’. Gwen Wilson celebrated her 60th birthday just before this memoir was published. She has travelled a long way and become a different person since the girl who struggled to be a mother and wife when she was still a young girl. There should have been more support for her, but 1970s Australia was in many ways an unforgiving male-focussed society and it sucked Gwen into its moral spin drier and spat her out again. Pregnant at 17, she marries Colin [the baby’s father] but both teenagers are woefully prepared to be parents. They struggle on for a while until, under Australia’s controversial forced adoption rules, it is decided [not by them] that their toddler Jason would be better off adopted. Cowed, the teenagers agree and sign the forms to give away their son. Gwen Wilson has spent the rest of her life feeling guilty, full of regret. But this book is more than a story about adoption, it is a window into the world of growing up, poor, in 1960s and 70s Australia. “They said the house was jerry-built. I knew what they meant. The house was cobbled together from scraps of timber, fibro and Masonite – bits other people threw away. Our roof was not terracotta tiles like the others in the street. It was tin. Corrugated iron, they called it. When the sun beat down, the heat spread through each room like an oven. We gasped and baked and prayed for a Southerly Buster. We knew it would come in the evening: we could smell its approach. It roared up the hill from the bottom of the street, and found us perched at the corner, wilting.” Wilson draws such a clear picture of her childhood house, I could be there. This is no idyllic childhood, Steve and Gwen learn to live without their mother who is in and out of hospital, when their mother is there they know how to manage her moods. They grow up before their time, except they are still children and make bad decisions. Wilson admits that when she was a teenager, she felt bitter towards her mother, for not being there for her daughter, for not supporting her as she had in her turn been supported by her family. Now, Wilson understands how ill her mother really was. For more about Gwen Wilson’s story, read my Author Interview with her here, or visit her website. What a great review of this book! Definitely on my list to read!!! Thank you so much Sandra. I found what you had to say very insightful and hope it will inspire your followers to check it out. I have uploaded your review to my blog and also Facebook and LinkedIn. Thank you so much for taking the time to read and review I Belong to No One.